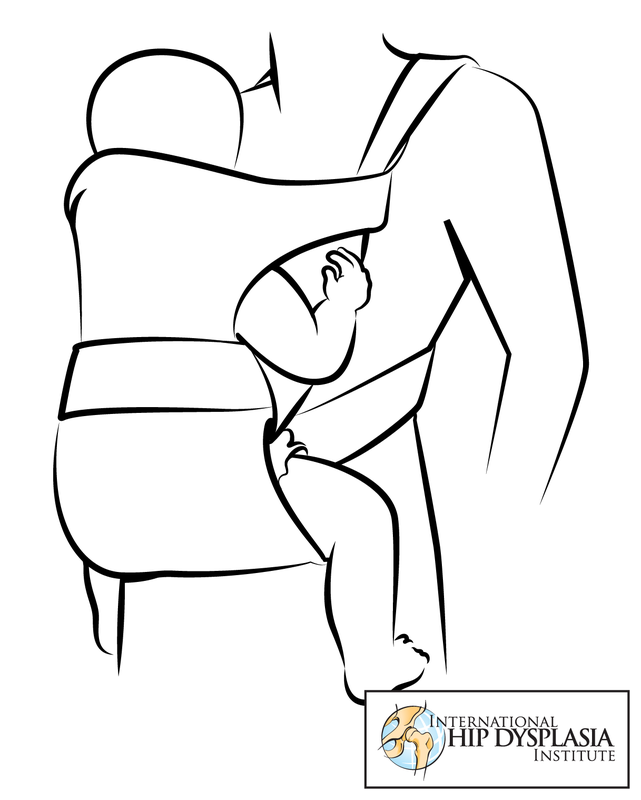 I am often asked what happens in a babywearing consult, what exactly do I do. 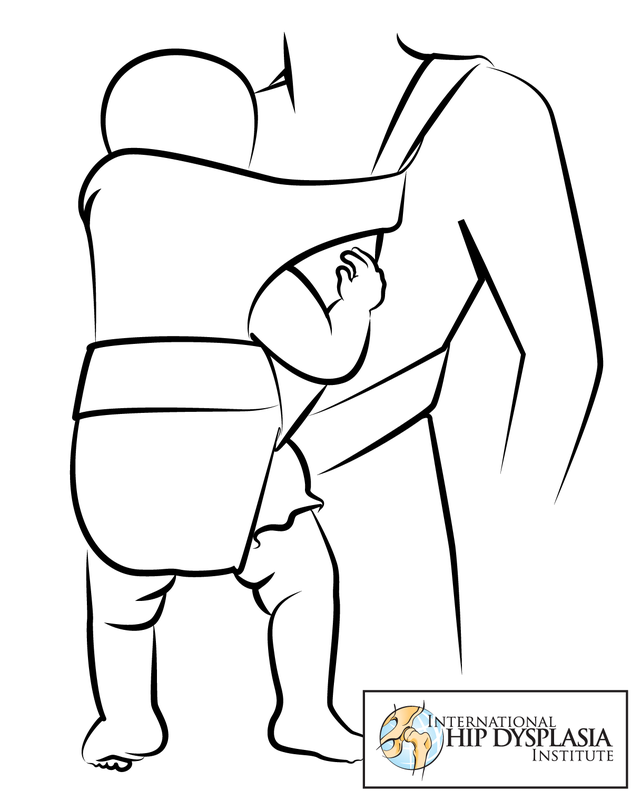 In this blog post I’m going to outline how a typical babywearing consult progresses. Why a Babywearing Consult? Parents often find themselves overwhelmed when their baby first arrives. They realize how much their baby wants to be held, and they want a good solution! Babywearing is the solution! If you have received a hand-me-down carrier that didn’t come with an instruction manual, or are just overwhelmed by all the different choices out there, a babywearing consult is a great way to narrow your choices. A good babywearing educator or consultant will take your needs into account and recommend the carrier that is best for you. And then, she will help you learn to use that carrier so that you and your baby are happy and content! Where do we start? First we make an appointment. My schedule is fairly flexible and I can come to you morning, afternoon, evening, or weekend, and I will drive anywhere in San Diego County! Many parents prefer this to a babywearing meeting due to their busy schedules, proximity to meetings, or the desire to have a co-parent or additional caregiver present. Also, if you have a brand-new baby and prefer not to leave the home, this is also a great way to learn just what you want and need to know. I require a small non-refundable deposit to hold the appointment. If you need to cancel your appointment at any time, this deposit can be used toward a future appointment, or toward the purchase of a baby carrier. Babywearing 101 / Introduction to Using Baby Carriers. When I arrive for the appointment, I will bring my teaching kit, which consists of carriers and accessories. We will talk about your baby’s needs and yours, what you plan to do while wearing your baby, and any other considerations (such as breastfeeding, medical conditions or injuries, etc.). I will bring different brands and styles of the following: ring slings, wraps, buckle carriers, and mei tais. I will demonstrate each one’s proper use and how to get a comfortable fit with your baby. I will talk about the pros and cons of each type of carrier, and which are appropriate to your baby’s age and developmental stage. Or if you prefer, I can simply demonstrate the carriers you are interested in using. I have found, though, that many parents discover other carriers they hadn’t previously considered after seeing them demonstrated. Then we will try on the carriers you’re interested in using. This can be one of your own carriers, or you can try some of mine! We can use a weighted doll to practice until you feel comfortable to try it with your baby (or if your baby hasn’t arrived yet!). A consult usually gives us the opportunity to try 2-3 carriers depending on how much time we spend on each one. Since we are dealing with babies (or toddlers), we of course can take breaks to feed, change, or comfort baby as needed. At the end of the consult, we discuss what carriers you are most interested in, and I can provide you additional resources (online or print) that will help you remember what we’ve learned. If you are interested in purchasing a carrier from me, we can also arrange that at that time. Intermediate or Follow-Up Consult. If you’ve already got the basics down but need help with one or two things, there’s a consult for that! Intermediate or follow-up consults focus on one of many different topics: back carries, different types of wrap carries (or wrap carries using a specific wrap size), troubleshooting a particular carrier, or an infinite number of things! These consults typically run about 45-60 minutes, although some topics may run longer. In the future, I may offer Skype or Google Hangout consults, so keep an eye out for those! Any questions? Please email me at hi@crispybata.com. I am happy to answer any questions! My pregnancy with Audrey was in many ways different from mine with Gavin. 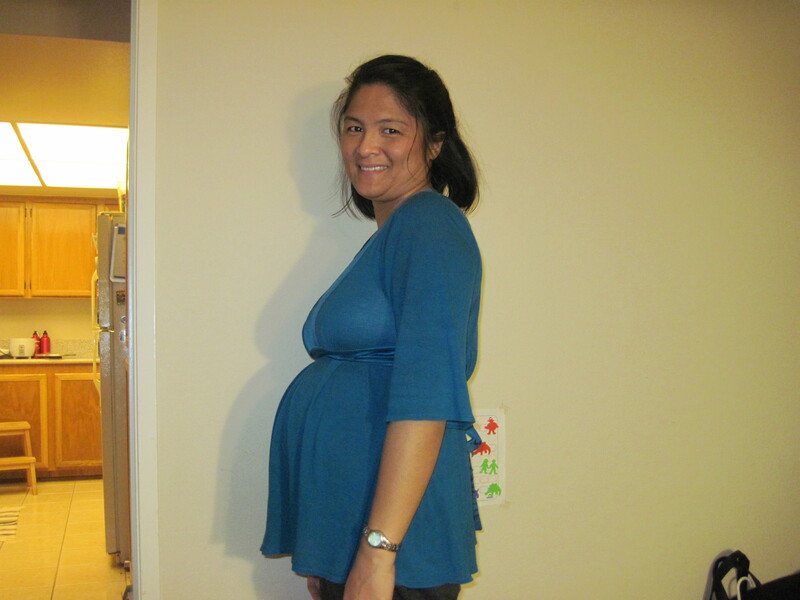 She gave me zero issues from day one, besides normal fatigue and hunger during the first trimester. My second trimester was awesome. Due to the gestational diabetes, starting at around 36 weeks, I was monitored at my OB’s office twice a week, which included non-stress tests and an ultrasound at each visit. Her non-stress tests were awesome, aside from the fact that because she moved around so much, it was difficult to track her with the heart monitor. With almost every ultrasound, she was in every position except the favorable “head down” one. My OB even scheduled an Cesarean delivery for August 17. By August 15, thankfully, she was head-down and the C-section was canceled. 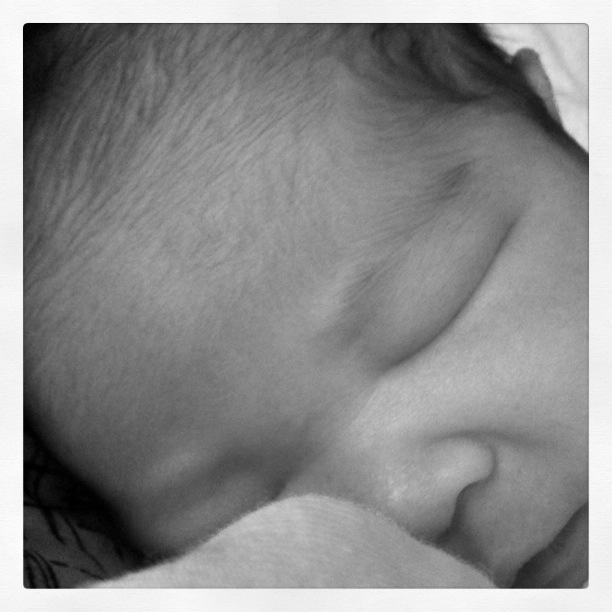 Since at least 20 weeks, I made up my mind that I would try to do a natural, un-medicated labor and delivery. I felt that my previous experience with Gavin’s birth was a slippery slope from narcotics, to Pitocin, to epidural, to depression and lots of difficulty in breastfeeding in the first few weeks. When I was pushing, I felt no pain and only lots of pressure. I don’t know if I’m a masochist, but I felt a little cheated because of that. I read lots of literature to prepare myself for an un-medicated birth. I began to believe that my body was built to give birth, and I wouldn’t need pain medication to make my experience better in any way. And then when my due date came closer, I re-read everything. I expressed my desires to my doctor and nurse practitioner, and they were on board with everything until my due date got closer. August 20 came and went and I was mad. I mean, literally mad that I had not even started contracting (regularly) yet! Apparently, it is my medical group’s protocol to induce any gestational diabetes patients who go past their due dates. I resisted because I feel that it was possible that I ovulated late and my calculated due date therefore was a little early. Additionally, I knew that being induced before she was ready to come out would again be a slippery slope, and I did not want to experience that again. I wanted my little girl to pick her birthday, and I wanted us to have a chance at a vaginal delivery. On the afternoon of August 23, Brian asked me if I wanted to come by his work so we could go to lunch together. This was really serendipitous timing, because as we drove to the restaurant, my doctor called. She expressed concern that I was so reluctant to be induced after being given all the information about why they don’t allow post-dates gestational diabetes patients to go very long after their due dates. She basically used scare tactics, and although she left the decision up to me, I felt that I really had no choice but to get induced that night. My one shining moment was declining the induction medication my doctor had said she would use; because I had done my research I knew that it was (a) not approved for induction of labor by the FDA and actually says it on the package (!) and (b) it is known for causing uterine rupture and maternal death. I requested a different medication and she agreed without any fuss, to my relief. My induction was scheduled for 9PM that evening. After lunch, Brian decided he would not return to work. I called some of the elders in our church to anoint me with oil. I felt this would help because Audrey turned head-down after I was anointed several weeks before. I jokingly said, “God told her to turn head down, and you can’t NOT listen to God.” It also helped to ease my mind; prayer always helps ease worries. Sometimes it helps and I don’t even realize it. I believe this is what happened in this case. 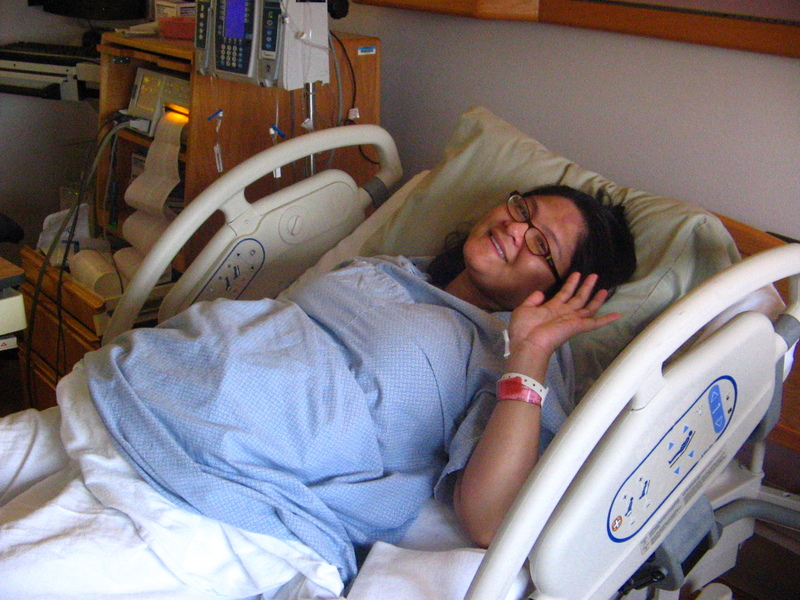 Many women believe that childbirth is very much a mental exercise as it is a physical one. A representative from the hospital called me late in the afternoon, around 4:30 and said my induction was for the following night. I told her, no, my doctor specifically told me to come in that night. I was frustrated. It didn’t give me much faith in my medical group, but secretly I thought if I were given another 24 hours, perhaps Audrey and I would go into labor spontaneously. They moved up my induction to 8PM instead of 9. My doctor said she would be in at around 7AM, so about 11 hours later. It would give me plenty of time to dilate and go into labor. We picked up Gavin from school, had dinner at Panera, and met my mom at our house. We dropped off Gavin at my in-laws’ place and headed over to the hospital. Once I got checked into my labor & delivery room, I met my nurses. They did a lot to put my mind at ease. They were upbeat, competent and very trustworthy. I was checked as a baseline, and my cervix was dilated only about a half-centimeter. I had an IV placed first, and then the induction medication was inserted. As they were preparing the medication, I had a contraction. I said, “Hm. Maybe she was planning to come out today anyway.” That also eased my fears and worries quite a bit. I had to lay on my back for the first 2 hours to let the medication do its work. Sometime during all of this, my Auntie Wai-Ling arrived. She was there for Gavin’s birth, and I felt that she was a very encouraging presence. I asked her to come for Audrey’s birth because I felt that her spirit gave me confidence, too. My contractions started just about right away. I got a new nurse in the middle of the night named Holland; she said that she normally worked until 7AM but she took a class earlier in the day and would be leaving at 3:30. Her class was in natural childbirth; she said she was very excited about doing an un-medicated birth and would be fully supportive of everything I wanted to do to give birth naturally and even had some suggestions if we were open to them. I felt like God put Holland there to reassure me that everything would be OK. I labored sitting on the birth ball, standing up, and sitting up. I found out that Holland tried to get them to remove the fetal and contraction monitors since I was doing so well (also they were a huge pain to keep on my misshapen belly), but because I was on medication, they had to keep them on me. I had a different nurse starting at 3:30; Holland assured me she would get me someone who would be supportive of a natural child birth. I got Christina, who was awesome. She was like Holland, but with more experience behind her. She was confident and assertive; I like that. My contractions started becoming more and more intense and closer together. I went to the bathroom and lost my mucus plug with a little bit of blood. Typically with the induction medication used, they don’t check until 12 hours after insertion; however, Christina said that because of the increasing intensity of my contractions, it was probably wise to check sooner. At 4:20AM, she checked my cervix and I was dilated to 6cm. We all cheered. It was really quick progress! I noticed that Christina was bustling around the room, basically getting it ready for the baby’s arrival. My contractions were very energetic at that point. I began to shiver and asked Christina if that was normal. She said it was a good sign because it meant I was going through “transition” (I think that means the time between laboring contractions and actual pushing/delivery). At 4:55AM, Christina checked my cervix again. This time I was at 8cm and at a 0 station! (I believe 0 station means that the baby’s head is in line with the pubic bone. A -2 station means she is crowning.) Very quick progress! I knew she would be coming soon. I felt like the next contraction (it was probably 2 or 3 after Christina checked me), my entire body was heading south. I probably said in a voice more forceful than I typically use, “She is coming out RIGHT NOW!” or something like that. I just felt all my energy focused RIGHT THERE. Things moved pretty quickly after that. I noticed that there was another nurse assisting Christina. I felt like I pushed for several (million) hours. I could actually feel Audrey moving down through the birth canal, which I didn’t feel at all with Gavin. At some point I wanted to stand up, but Christina didn’t feel I needed to; she said Audrey was right there and all I had to do was push a little. The other nurse (I forgot her name) advised me to hold my breath and push with all my might. It took a couple of tries to do it, but I soon got the hang of it. At some point, they attached a bar above my bed; I tried pushing while holding on to it, but it didn’t help. We also tried to turn me over, but as soon as I tried, I was like, “Oh NO WAY, DUDE.” I ended up pushing while on my back because my pubic bone was blocking Audrey’s head. I felt her head coming out and I actually reached down to touch it. I didn’t know exactly what I was feeling, but it gave me more confidence to continue. As I pushed, I thought, “What a dumb idea; wanting to do this without drugs! This is the WORST IDEA EVER!” But it was past the point of no return, so I just had to keep on doing it! The contractions were starting to come right on top of each other, and when she started to emerge, the nurses said, “You have to stop pushing!” I thought, “ARE YOU KIDDING? NO WAY!” I told them, “But she wants to come out right now!” The nurse told me to breathe as if I was blowing a feather in the air. They were calling the doctor. I was starting to get frantic. “I need to push!” The nurses, my mom, my aunt, and Brian were so supportive though. They kept telling me I was doing great (even though I was panicking a little, or a lot, inside) and kept reassuring me that the doctor was on her way. I kept her on my chest for what seemed like a long time. It was wonderful. I tried to nurse her but she wasn’t very interested, and that was OK. I asked how long I pushed for, and they said 20 minutes. It seemed like hours. I had a superficial tear that required 3 stitches. The doctor and I introduced ourselves to each other, which was kind of funny. The moments after birth are so frantic and frenetic (partly why I wanted to document all of this as soon as possible), and there are 10 million things going on at once. Brian got to cut the cord, and this time I got to watch. I don’t remember getting to see when Gavin’s cord was cut. From induction medication being inserted (9PM) to actual delivery (5:34AM) it was about 8.5 hours of labor, 10 hours shorter than my labor with Gavin but definitely more eventful. With Gavin’s labor, I felt like I just went along with whatever the nurses told me to do; this time, because I was informed, I was a more active participant in what happened next. Even if it was what the hospital protocol was anyway, I felt more in control of everything that happened to me. When they went to weigh Audrey, it was only Christina, my mom, my aunt, and Brian in the room with us. Christina was taking bets on how much she would weigh. I heard someone say 7 pounds, and 7 and a half pounds. I had it in my head when I went past my due date that she would be about 8 pounds because she was gestating so much longer than Gavin did. They placed her on the scale, and she was 8 pounds, 3.4 ounces. Even Christina was amazed because she said Audrey didn’t look that heavy. So pretty much the only thing I was right about the whole pregnancy was that Audrey would weigh about 8 pounds. I didn’t cry when she was first placed on my chest, like I did with Gavin. I think I was just too exhausted. 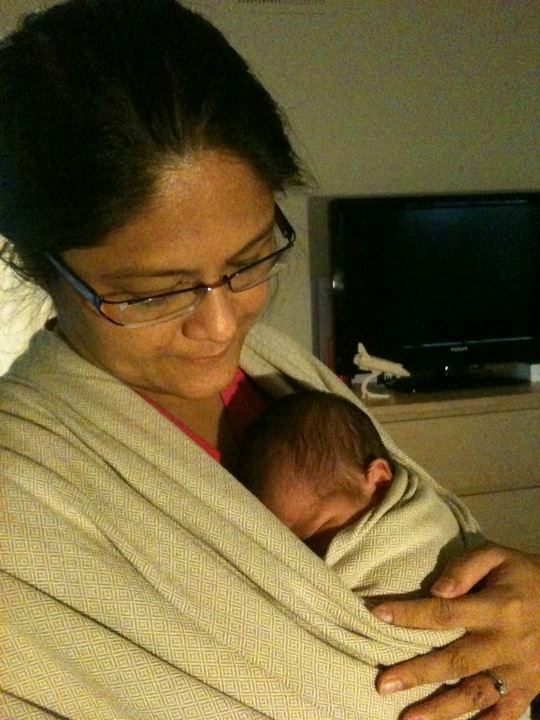 But I did cry when she first latched on to my breast to nurse. For some irrational reason I was scared that we wouldn’t be able to. When I was wheeled to my post-partum room, I kept telling anyone who would listen that I was eating a Belgian waffle with strawberries and whipped cream for breakfast. The post-partum nurse told me that since the placenta was out (and my blood sugars came back normal — they checked right after delivery), I could eat whatever I wanted. My mom and aunt went out to get it for me. I had my baby girl, I had my waffle, my big boy Gavin came to visit shortly thereafter. I felt so empowered because I felt like I was so informed before this birth, and I did it just how I wanted to. Although having a second baby after 5 years meant I had forgotten just about everything, all the important things — breastfeeding her, holding her, changing her — came naturally to me. All was good! As a child, I was very blessed. I had four living grandparents, and I was able to get to know and spend time with three of them on an extended basis. I wish I knew my paternal grandparents a little bit better, but I moved to the United States when I was in elementary school, and therefore I only kept in contact with them through letters and over the phone (and a couple of short visits). 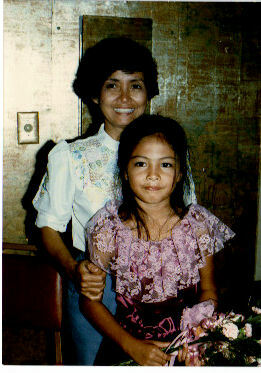 My maternal grandmother, or “Mommy,” was the one I was closest to. I lived with her for four years while my mom established her career, and when deciding on colleges, I specifically chose one that was geographically close to her. It was a good thing, too, because she passed away right before my final semester. I was glad that I was around during her final days. G is in a similar situation as I was: He is the first and currently only grandchild on both sides of the family. My mom and in-laws were both present for his birth and are a constant presence in his life. 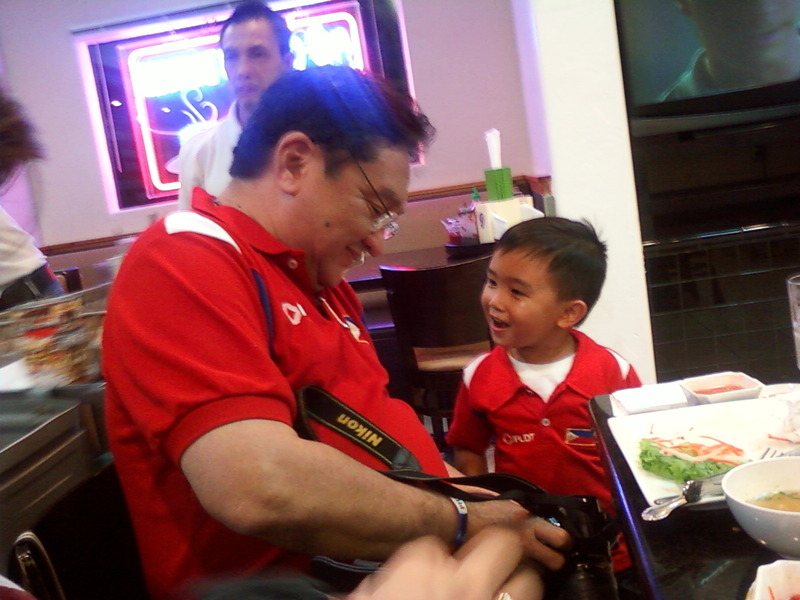 However, my father, who lives in the Philippines, did not have a chance to meet G until just last month. I hadn’t seen my father in almost 6 years, when he walked me down the aisle at my wedding. 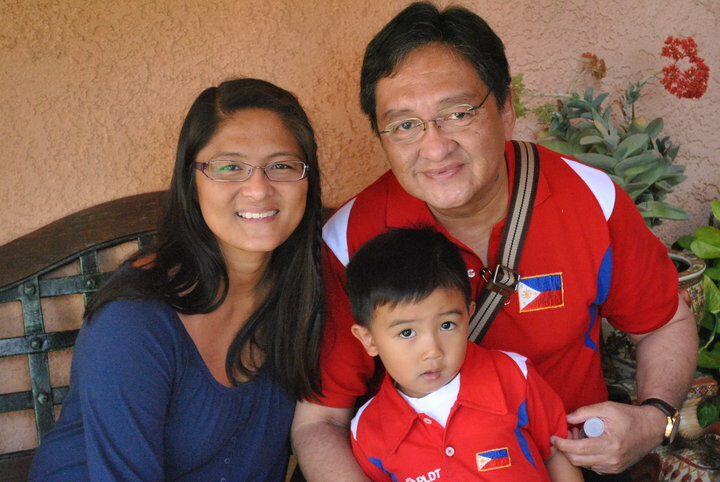 He was here on business, bringing the Philippine national boxers to compete and train here. (I wondered though if it was a coincidence that they came to train in Southern California, where I live, and Northern California, where my sister lives, or if my father planned it that way. Heh.) At the same time, I was starting a new job and planning G’s 4th birthday party. I was excited for my father, who has 4 girls, to finally meet his one and only male direct descendant. Anpa Ed and Gavin goofing around at the pho restaurant in their matching shirts. Many people probably take grandparents for granted, but because of our situation, I can’t. I know that I am blessed that my parents, who split up almost 30 years ago, still get along and are good friends despite the distance and for the sake of their kids and now their grandkid. I am blessed to have in-laws who are willing to take an active part in their grandson’s life and do so on almost a daily basis. And my mom, who without question (maybe with a little question) will follow my rules in parenting even if they differ from how she used to do it 30 years ago. And my father and stepmother, who were doubtlessly tired because of their schedule, but still came down to San Diego for 2 days with their grandson. So because of these very wonderful people positioned as my child’s grandparents, I cannot take them for granted. There is a very prevalent mindset in the United States when it comes to parenting, which is, “This is my child, not yours.” I don’t think I necessarily subscribe to that. My parents raised me; my husband’s parents raised him, and I think we turned out well; so whatever we learned from those experiences, good and bad, we bring to the table in raising our own child. 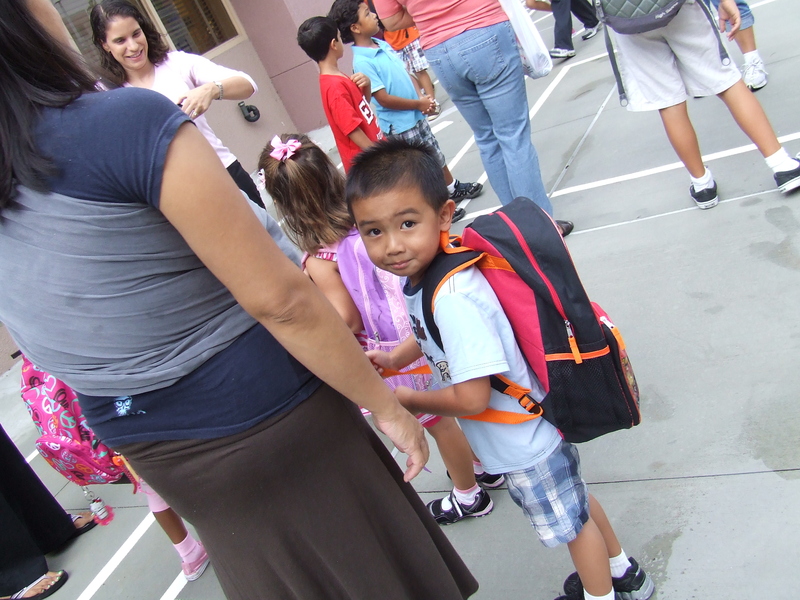 If we expect our child to learn diversity, he will know various child-rearing techniques from all of us (as well as his caregivers at daycare/preschool). We are fortunate that our families for the most part adhere to our rules and are (relatively) sane, rational people. Many parents can’t boast that. As his parents, of course we will make the primary decisions for him, but it’s important for him to learn from his elders. I still remember sitting at the kitchen table and helping Mommy and my great-aunt Tita Charito roll lumpia (Filipino egg rolls) while she told stories of her youth, and of my mother’s youth. I remember my papa’s mother getting a tape measure out of her purse the last day that we spent in the Philippines, so she could have a record of how tall my sister and I were — and 5 years later, when we returned for a visit, she still had the same piece of paper where she wrote down our heights. Although I was very little when I left the Philippines , I have special memories of him, and no one can replace him as my father. I’m hoping that my son can also develop some nice moments with my papa, as I had with my grandparents. Three generations of the Picson family: me, my papa, and Gavin.